Werner Herzog has a way of tapping into subjects that people would never think of — much less would think would be interesting. And then he draws you in. But its not the topic of his documentaries that are so captivating. Its the people he gets to talk about it. 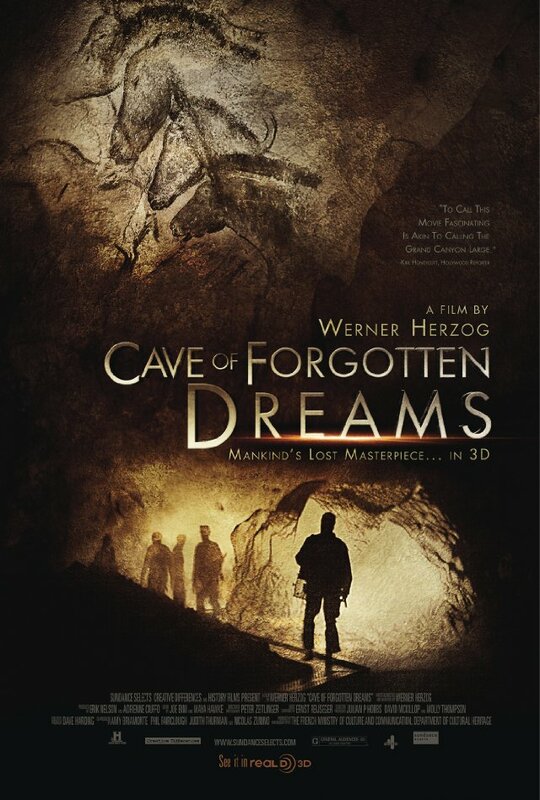 In Cave of Forgotten Dreams, Herzog covers the discovery of the Chauvet caves in Southern France, where cave drawings were found that are more than twice as old as the earliest previously discovered cave art. That, in itself, is amazing beyond comprehension. He was able to gain very exclusive permission to film. Then he begins to talk with different individuals about the caves: a gentleman working to digitally scan the caves whose previous archeological experience was working as a juggler in a circus, a woman art expert who is quite sure that she knows exactly what the people 32,000 years go were thinking when they were drawing, a specialist in neolithic weapons who fails to demonstrate how to use the weapons effectively, a man searching for more caves by sniffing the air because he trusts his nose (like Toucan Sam) — he is professionally a perfume developer, and a pond of albino alligators, and a patchwork of other rather odd personalities. Herzog allows the people to express there feelings and thoughts without much more editorial comment than allowing them to be judged or believed by the audience. And furthermore, he allows the artwork to speak for itself. Sure, he adds some artistic commentary, presuming a great deal of things about what may have been going on so many millenia ago, but he always falls back to the fact that we will never know. The caves are sealed behind a bank vault like door, protecting the interior from the elements and from people. Even peoples breath and the oils in their skin are potentially dangerous to the preservation of the artwork. This film, and perhaps the replica that is being built nearby are the only way one is going to be able to experience this astonishing find.